"This is an exciting time for Combined Insurance as we continue to grow our salesforce countrywide," said Bob Wiedower, Vice President of Military Programs and Sales Operations at Combined Insurance. Wiedower is also a decorated veteran, having spent 22 years in the United States Marine Corps where he retired as a Squadron Commanding Officer. "We value the traits veterans and their family members bring to Combined Insurance – their integrity, dedication, loyalty, discipline and work ethic. We are proud to offer meaningful career opportunities and allow these individuals to continue serving their communities by helping our customers and their families when they need it most," Wiedower added. In addition to providing meaningful employment, Combined Insurance also gives back to military and veteran-focused charities through employee volunteerism and corporate donations. The company has given back and provided support to numerous military and veteran-focused organizations, such as Luke's Wings, The Fisher House Foundation, USO of Illinois, and Heartland Alliance – Support Services for Veteran Families (SSVF). Combined Insurance was ranked once again as a Top Military Friendly® Employer for 2017 by G.I. Jobs Magazine. This is the sixth consecutive year that Combined Insurance has made the list and third consecutive year in the Top 5; the company was previously named the Number One Military Friendly® Employer in the nation in 2015 and 2016. 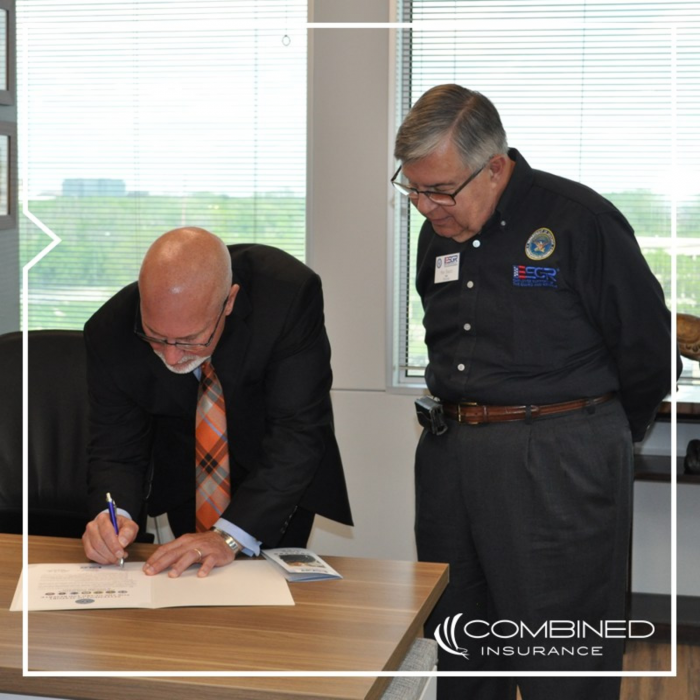 Combined was also recently ranked a Top Military Spouse Friendly Employer by Military Spouse Magazine for the second year in a row and was recently ranked on the Military Times "Best for Vets" employers list.